I wanted to try and make something different and this was just the ticket – also likely inspired by the stuffed cookie trend. 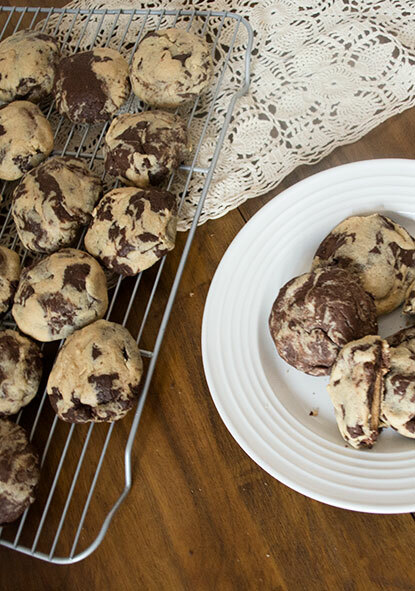 These cookies are like your average dough, just with a bit more clean up to tend to. Though I do love cleaning, I have to say the clean up for these was a bit more involved than I remembered. Nevertheless, it was a new and fun baking experience for me because I was mixing up my normal baking routine. 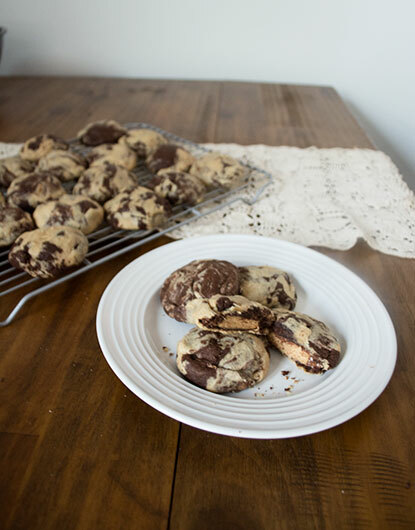 I was a bit nervous prior to making these because I had only made them once before when I was creating the recipe. I was pleasantly surprised by the results. With these you can have a bit of fun with what you mix into the dough. 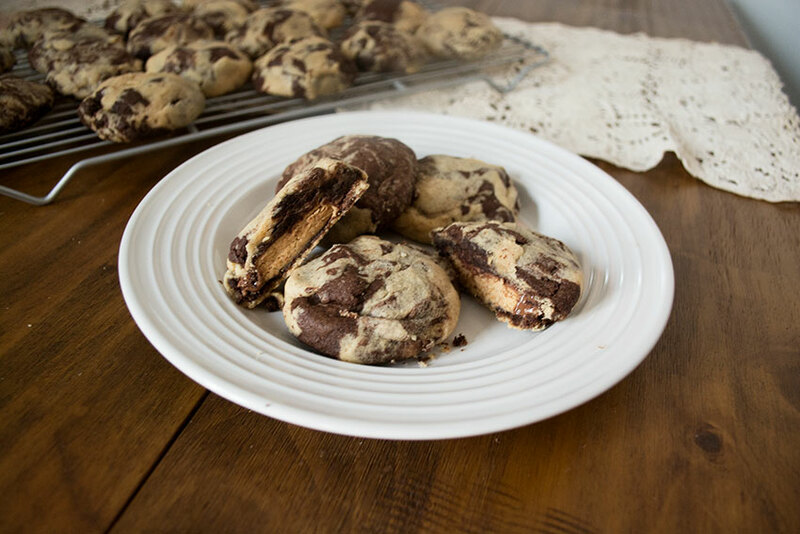 If you don’t want to stuff them with peanut butter cups, you can have these plain or mix peanut chips into the chocolate dough and chocolate chips into the peanut dough. If you want a smaller cookie, feel free to use miniature peanut butter cups. That being said, I went through two bags of Reese’s and I still probably had enough dough to use up another bag. Happy baking and I hope you have a wonderful Sunday! Preheat your oven to 350 degrees. In a small bowl for each type of cookie, cream the butter and the sugars until light and fluffy. Beat in the eggs and vanilla, as well as the peanut butter. Stir in dry ingredients. For the chocolate batter, it’s going to look a little crumbly, but you just have to get in there in with your hands to completely mix it. 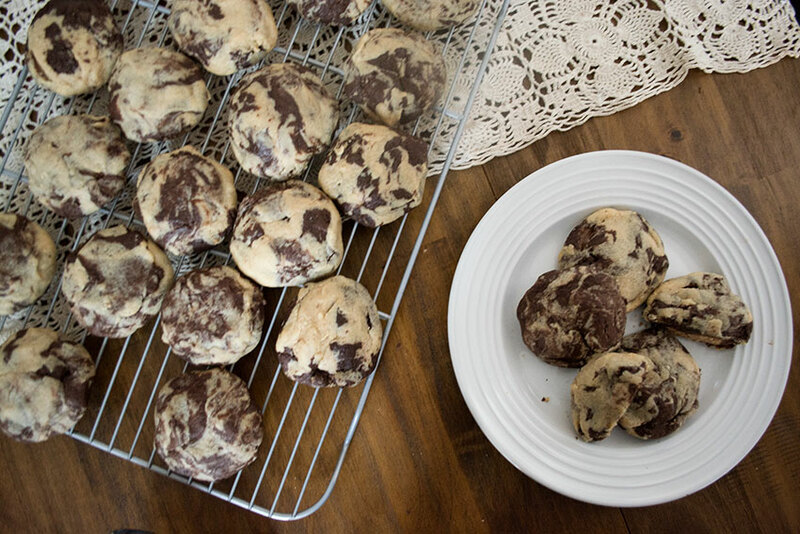 Grab approximately 1 tsp of each batter and fold the dough into itself to give it a marbleized look. Wrap the batter around unwrapped peanut butter cups. 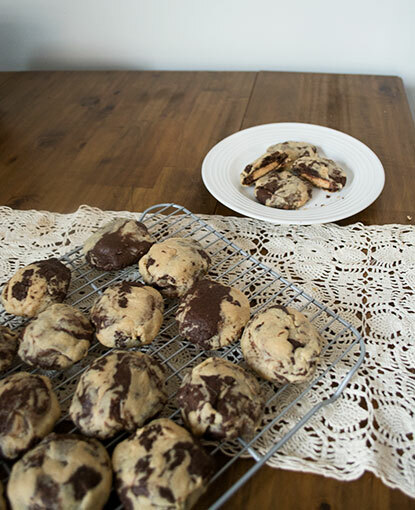 Place the cookies 2 inches apart on a cookie sheet. Bake in preheated oven for approximately 9-12 minutes. Let cool for at least 5 minutes on a wire rack. 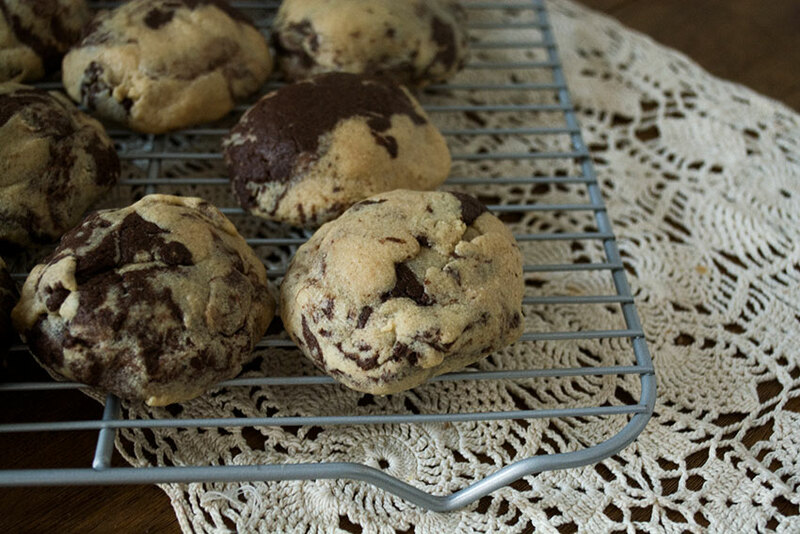 This cookie looks wonderful, I make cookies but are simple this seems quite easy to cook than I thought. Also, please visit for more such delicious and fingerlicking recipes at sabkimaggi.com follow us as more yummylicious recipes are on its way. Why thank you! 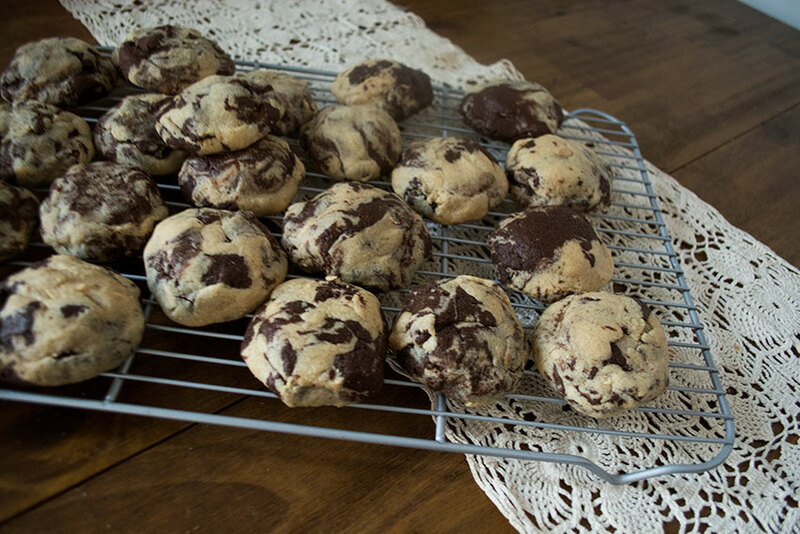 I like to go for simple cookies as well and thought this would be a good way to mix things up. I’ll be sure to check out your blog later, thank you! I baked and that simple thing recipe made by you was delicious. Thank you so much! I’m happy to hear that you enjoyed the cookies!